In the past, milkweed was viewed as a toxic weed. Today, we know that milkweed is a very important group of native plants that helps support many species of wildlife, including monarch butterflies. Learn more about ways you can help ensure these beautiful butterflies are around for generations to come by visiting the Monarch Joint Venture (http://monarchjointventure.org/) or downloading the Ohio Department of Natural Resources publication “Milkweeds & Monarchs” (http://wildlife.ohiodnr.gov/portals/wildlife/pdfs/publications/id%20guides/Milkweeds%26Monarchs.pdf). Fayette Soil & Water Conservation District will participate in the Ohio Pollinator Habitat Initiative’s collection of Common Milkweed pods again this fall. The plants bloom early to mid-summer, so now is a good time to begin locating plants for potential pod harvest. 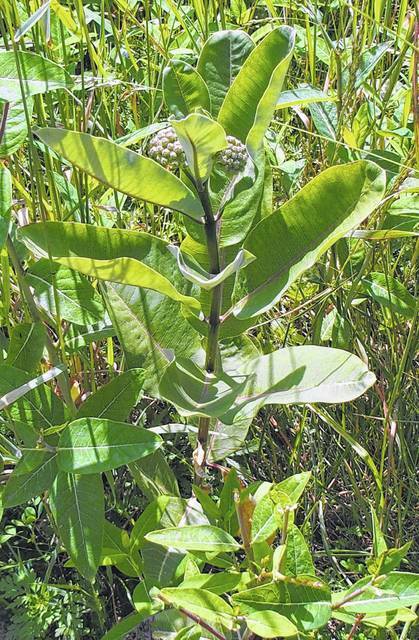 Common Milkweeds are perennials, so any plants from which pods were harvested last year may be used again this year. More information on this program will be released at a later date.